Get a leg up on your Valentine’s Day shopping while you sample delicious treats at this delectable event sponsored by the Atchison Area Chamber of Commerce and its member businesses. 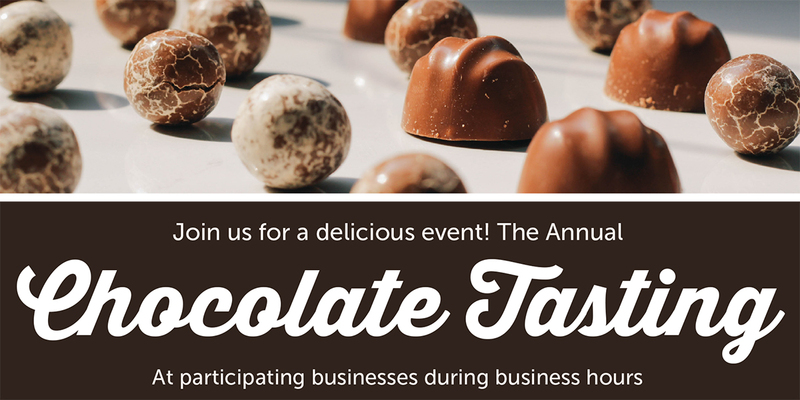 The 7th annual Atchison Chocolate Tasting is scheduled during business hours on Friday and Saturday, February 8th & 9th. Area retailers will serve a variety of chocolate, highlighting the sweet treat’s versatility. Tickets for this event will go on sale Monday, January 28th for $5 each! Participating businesses and the Chamber of Commerce will have tickets available for purchase. All proceeds will to go the New Fox Theatre Project. Those holding a ticket are invited to visit each location for a chocolate sample. Several locations will also have chocolates for sale, giving you a head start on your Valentine’s Day shopping. Be sure to browse these businesses for special sales and other deals during this time as well.